Bangladesh can duly boast of the status of “Development Puzzle”. The country sustained economic growth averaging 6.7 percent per annum over the last decade; also displayed remarkable advancement in social indicators such as reduction in incidence of poverty, infant and maternal mortality, fertility, food insecurity etc. In driving such socio-economic development in Bangladesh over the last forty years or so, BRAC has played a pivotal role in supporting government initiatives as well as pursuing programmes of its own domain. BRAC is now about 45 years old and this watershed moment provided an opportunity to reflect on the last four decades or so. More importantly, the aim is to look ahead for the challenges that would be confronted by BRAC. In the backdrop of these factors, this book inscribes the evolution of development interventions made by BRAC, including the mistakes made and the lessons learnt, in its efforts to contribute to socio-economic advancement of the country. As usual, that should be alongside the government, the corporate sector, other civil society organisations, and development partners. 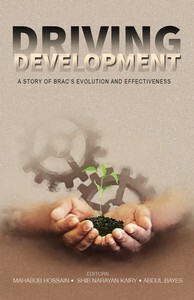 This book is an edited volume of contributions made by insiders of BRAC – the senior programme leaders who themselves have had their career advancement being involved in the management of the programme, and professionals of the BRAC’s Research and Evaluation Division (RED) who were intimately involved in studying the programmes and assessing the impacts. 1. 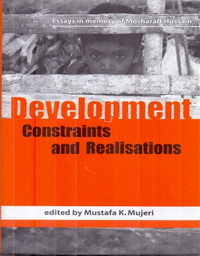 Introduction> Mahabub Hossain> Background / Development Challenges of Bangladesh / Vision and Mission of BRAC / BRAC’s Development Interventions: An Overview / BRAC Enterprises / BRAC International / Organisation of the Book. 2. Education: Facilitating Human Resource Development> Samir Ranjan Nath and Safiqul Islam> Introduction / Progress in the Education Sector in Bangladesh / BRAC Education Programme / Studies on BRAC Education Programme / Concluding Remarks. 3. Reaching Healthcare to Grassroots> Syed Masud Ahmed, Kaosar Afsana, Akramul Islam and Faruque Ahmed> Introduction: Bangladesh Health Scenario / BRAC Health Programme (BHP) / Role of Research in Shaping BHP / Impact of BRAC Health Interventions / Conclusions. 4. Maternal, Neonatal and Child Health> Hashima-E-Nasreen and Kaosar Afsana> Introduction / BRAC Maternal and Child Health Programme / Achievements of the Programme / Lessons Learnt / Conclusions. 5. Nutrition Interventions for Improved Child Health> Barnali Chakraborty and M Raisul Haque> Introduction / Nutrition Situation: The Bangladesh Context / Evolution of BRAC Nutrition Interventions / Research Support to Nutrition Programme / Conclusions. 6. Microfinance: Financial Inclusion for Employment Generation> Mahabub Hossain and SN Kairy> Introduction / The Microfinance Landscape in Bangladesh / BRAC Microfinance Programme / Review of Progress / Future Outlook / Impact of Microfinance: A Review of Studies / Concluding Remarks. 7. Challenging the Frontier of Poverty Reduction: Targeting the Ultra Poor> Mahabub Hossain, Anindita Bhattacharjee and Narayan C Das> Poverty: The Bangladesh Context / BRAC’s Targeted Poverty Reduction Programme / CFPR-TUP Programme’s Achievements / Conclusions. 8. 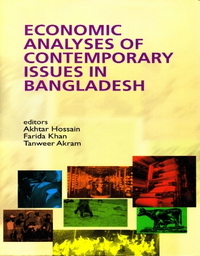 Agriculture for Food Security> Mahabub Hossain, M Sirajul Islam, SC Nath, MA Saleque and Mokarram Hossain> Introduction / Agricultural Growth in Bangladesh / BRAC Interventions in Agriculture / Conclusions. 9. Water, Sanitation, Hygiene and Disaster Management> Nepal C Dey, Tahera Akter, Sifat E Rabbi and Babar Kabir> Introduction / The Bangladesh Situation / BRAC Development Interventions / BRAC Studies on Environmental Issues / Impact Assessment Research / Concluding Remarks. 10. Community Empowerment and Local Governance> Mohammad Rafi, Kazi Nazrul Fattah, Sharin Shahajahan Naomi and Anna Minj> Introduction / Community Empowerment Programme / Community Institution Building / Strengthening Local Governance / Reaching Information to Marginalised People / Community Radio: The Radio Pallikantha / Special Projects / Citizen Engagement for Effective Governance / Accessing Benefits of Right to Information Act / Enhancing Social Capital of Village Organisation Members / Studies on the Relevance and Effectiveness of the Programme / On Power Structure and Community Based Institutions / On Active Citizenry / On Strengthening Village Organisation / On Violence against Women / Concluding Remarks. 11. Human Rights and Legal Aid Services> Mohammad Rafi, Sharin Shajahan Naomi and Faustina Pereira> Introduction / Features of HRLS Programme / Community Services / Legal Service Providers / Legal Education for Raising Awareness / Legal Support Services / Alternative Dispute Resolution / Panel Lawyer / Community Mobilisation / Human Rights Implementation Committee / Legal Rights Implementation Committee / Recent Initiatives / Public Interest Litigation / Introspection of HRLS through Research / Developing Pedagogy and HRLE Curriculum / Conclusions. 12. Gender Justice and Women’s Empowerment> Sheepa Hafiza, Rumana Ali and Mohammad Rafi> Introduction / Gender Equality in Bangladesh / BRAC Interventions for Women’s Empowerment / Gender Justice and Diversity Division / Studies on Gender Issues / Conclusions. 14. Evolution of Development Management in BRAC> Sukhendra Kumar Sarkar> Introduction / Management of Integrated Development Projects in the 1970s / Scaling up for Impact: Lessons from OTEP / Drivers of Success of OTEP / Other Drivers of Sustaining Efficiency and Effectiveness with Growth / Chronology of Development Interventions / BRAC International Operations. 15.Governance, Transparency, Enterprises and Financial Sustainability> SN Kairy> Introduction / Governance and Transparency in BRAC / Finance and Accounts / Financial Growth / Towards Financial Sustainability / Growth of Assets / Conclusions. 16. Reflections on Drivers of BRAC’s Success> Salehuddin Ahmed> Introduction / Drivers of Success / Organisational Culture: Scope of Improvement / Conclusion.